Extremely sad sale of our much loved ‘Lorry’, but uni and work commitments have meant that he has not received the work he requires and attention he craves. 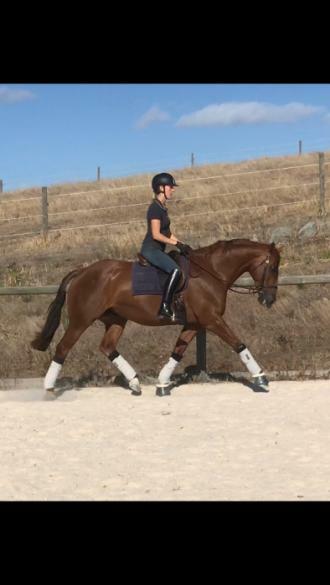 Lorry is an 16h (easy measure) 8yo TB x RP by the amazing sire Fernleigh Fine Print. 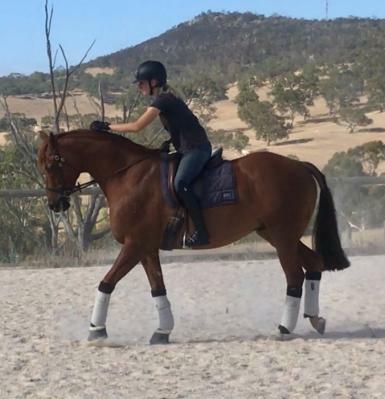 He has a gorgeous personality, loves people, gets along with all the other horses and loves being pampered. He is accustomed to being in his paddock during the day, with or without a friend in with him, and loves his stable at night. Particularly in bad weather. He’s a real sook. 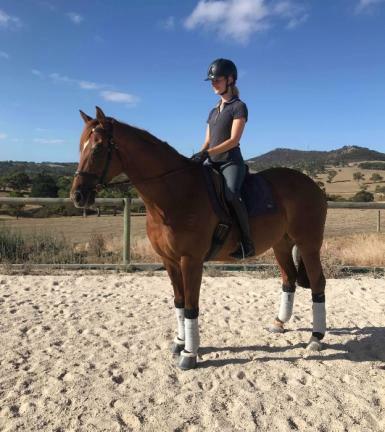 He has always been owned by teenage girls and unfortunately both had year 12 and uni commitments resulting in Lorry being a relatively ‘low mileage’ horse. 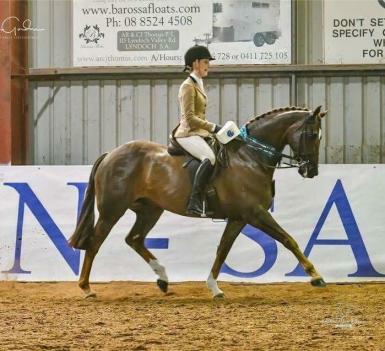 He has been shown lightly as a show hunter and competed at interschool. He has shown a love for jumping and is extremely honest and willing. He is still learning the ropes of jumping, buts he has never refused and gives it a go every time. While Lorry is quiet and great to handle he still needs a competent teen or adult as he is a big strong boy. Not for beginners or nervous riders. At home he does not get lunged and only ridden in a snaffle and no other gadgets. 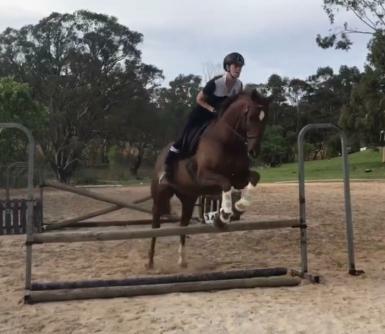 Ideally we would love Lorry go to a home as an all-rounder or inter-school horse as he seems to loves jumping. 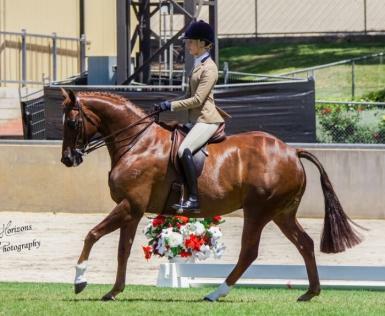 He will also be a competitive show hunter, which is what we purchased him for, but have not had the time to consistently put into furthering his education and getting him out competing. We have only had time to show one of our own ponies. We prefer prospective buyers to meet him and ride him first. Vet check welcome. He is a very good doer and shod regularly. Great for farrier, teeth, clipping etc. This is a very genuine sale and would not be happening if Uni commitments hadn’t dictated sale of at least 3 of our horses. Lorry really wants to be someone’s number one love. $12,000. Priced for quick sale and is no indication of his quality. Please pm for phone number to discuss if interested. NO TIME WASTERS as dealt with too many selling our ponies. 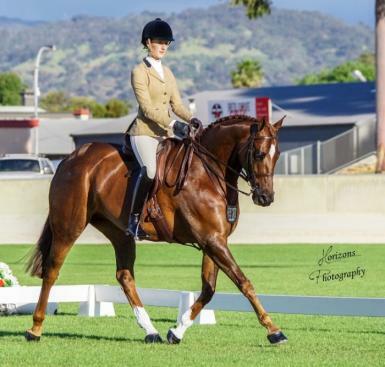 Also available at additional cost is his made to measure DQ double bridle and bits, number holder, false tail, personalised bridle and tail bags and Trainers Royal Show saddle.